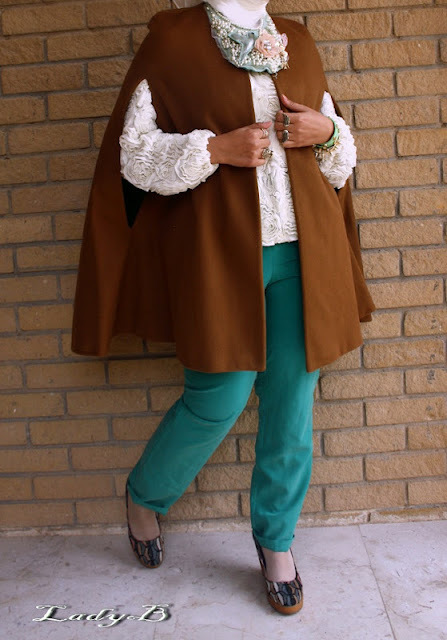 Outfit of the Day : That Cape Again ! 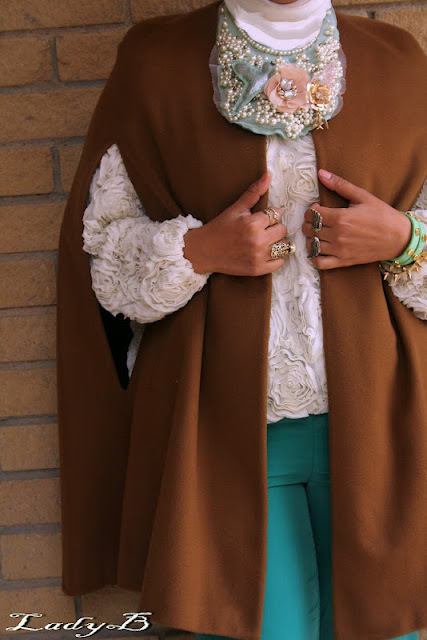 Got this cape sometime last year from Zara, it was and still a great purchase ! I wore it alot during last winter, it accompanied me to New York as well and got another one that looks identical with a fraction of its price from F21 for my friends ! 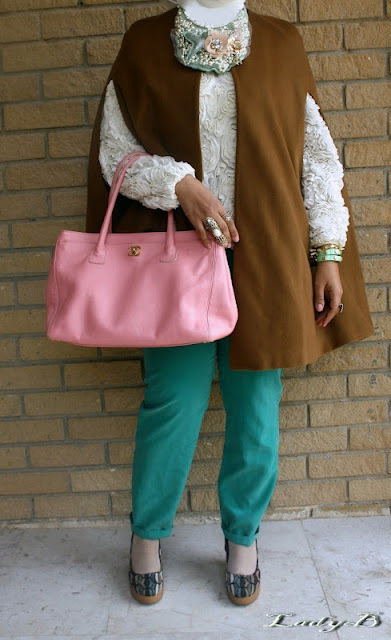 How to style it is endless ! I wore it with a striped dress from Missoni before and wrapped a scarf, I wore sweater and a faux fur collar once as well..
Thumps up on the color combo, love it. LOVE the sweater!